Yesterday afternoon, I had the pleasure of working with Gamestop, which, pretty much, revolutionized the electronic gaming industry when they opened up their stores nationwide to not only sell games for your Wii’s and PS’s, but also buy them back from you when your finished with them. 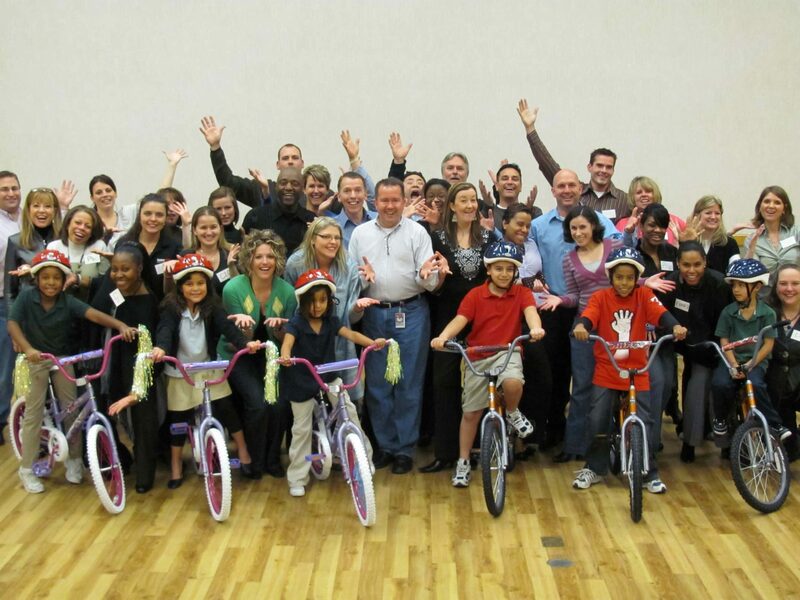 Gamestop’s human resources group were at their home office in Grapevine, Texas (between Dallas and Ft. Worth — just north of DFW airport) for some training and their annual meeting, and they decided to spice up their meeting a little and give back to their community by conducting a cool philanthropic team building event at the conclusion of their meeting. 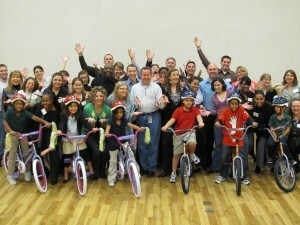 Gamestop chose the Build-A-Bike® charity team building event and they donated their completed bikes to the YMCA of Irving, TX. One of the interesting things that I noticed about this group was that, even in their business meetings, they made a conscious effort to make the delivery fun and interesting for everyone. 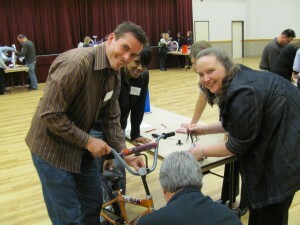 So when we got to the team building event, it was kind of like a comedian or singer having a warm-up act. The group was already in the mood to have fun, so it was really easy to keep the energy up and let them cut loose a little bit. Many times, when we are organizing or attending annual meetings, we forget that in addition to learning something and building camaraderie, we should also have a little fun when we get together with our coworkers. It doesn’t take much to get the group energized, but those little things early on in an event are critical establishing a fun atmosphere.